Vancouver is known for its abundance of sushi and coffee joints along with cupcake shops, unique diners, and locavore cuisine but the Quebec-classic poutine is bursting onto the scene. A staple at Fritz European Fry House and La Belle Patate, more restaurants are adding the french fry, cheese curd, and gravy-covered combo to their menus. As such, Vancouver is hosting its first Festival de la Poutine next month, presented by Francouver. Cost Free admission for everyone until 5:30pm. $20 for the evening events starting at 6:00pm. 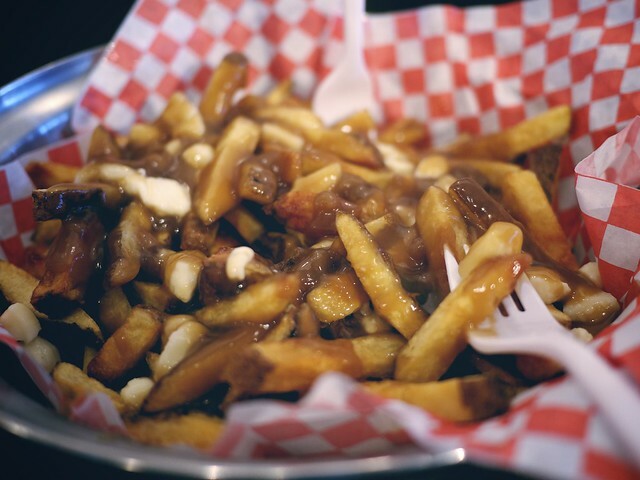 Tickets are available for a “Poutine Crawl” around Vancouver on the same day. Starting at noon there will be activities for families (a kids section, temporary tattoos, battle of the bands) and plenty of home-made poutine to sample. Amateur cooks can also enter their poutine recipes into a competition. After 6:00pm (until late) there will be concerts, a live DJ, dancing, and still more poutine. I think there should be insurance for salivating on keyboards.. this looks so good! Ah, this sounds like the best thing in the world!